Filù Hats - Filù Hats' beige Vanuatu style is crafted with a relaxed wide brim that's embellished with a souvenir-printed satin scarf, reflecting a vintage-inspired aesthetic. It's expertly handmade in Italy using age-old techniques, featuring a moulded crown that's hallmarked with a mother-of-pearl logo plaque, then lined with green grosgrain ribbon. 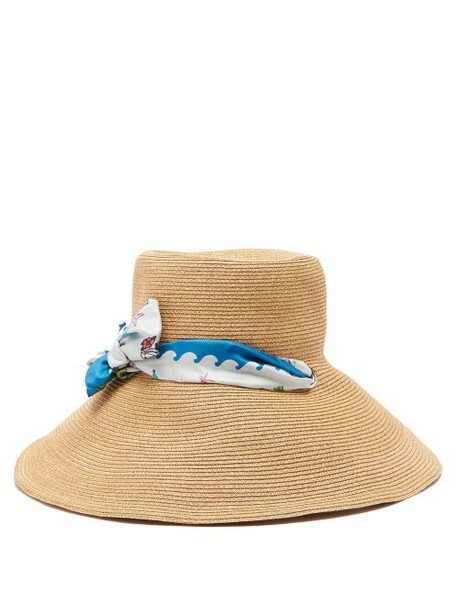 Wear it with a ruffled dress for a warm-weather luncheon.